Cyber assurance is a critical issue for the United States. 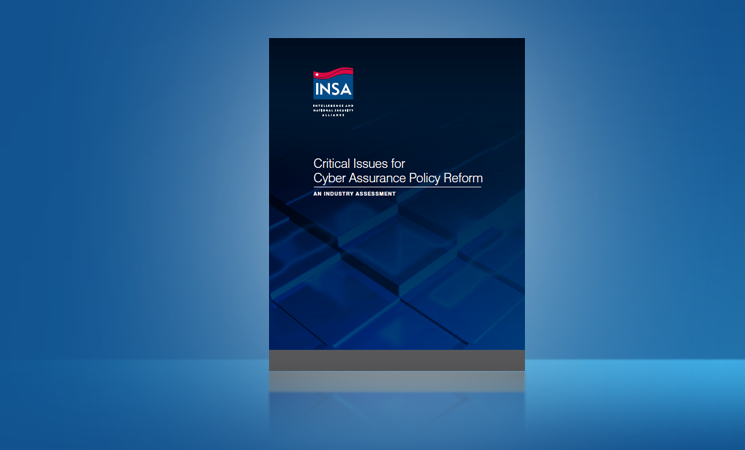 There are many technical and policy issues associated with providing an acceptable level of cyber assurance for our government and commercial infrastructures. Solutions to many policy issues are unclear and not easily defined. To take action, the President commissioned a comprehensive cyber assurance study in order to identify public and private sectors that have a stake in cyber assurance, pose key questions to frame the relevant issues, articulate concerns, and formulate initial policies for our nation in this critical area. The Intelligence and National Security Alliance (INSA), which represents the defense, intelligence, national security, and telecommunications industries, formed a task force to address several of these questions.